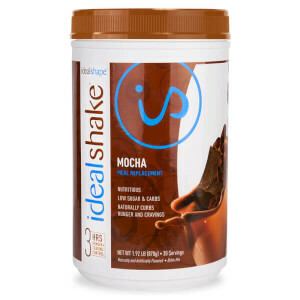 I have been using the meal replacement for about a month and 3 weeks. Personally I think it taste great! But in terms of keeping me full and suppressing hunger: not the best. Most times I would have 2 cups of tea in the morning and my shake. By 10am I would be starving. I don’t think it really should be used as a meal replacement because it truly does not replace a meal entirely. I found these shakes on the internet and decided to try them. I am so happy, I've found them. I'm losing weight, not hungry and they taste awesome. I recommend putting in blender with ice. I use 40 calorie almond coconut milk and it tastes like a treat. 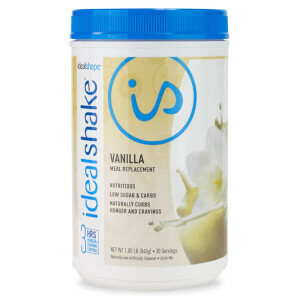 The shakes taste great, keep me feeling full, and I am finally losing weight! It is definitely worth the investment! I love the flavor. It really keeps me full. I add two tablespoons of steel oats, chia seeds, or coconut oil with 1% milk. I like the vanilla so that I can add a variety of fruits and flavors. Makes it so I don’t bored. Love it, it tastes like a chocolate milk shake. 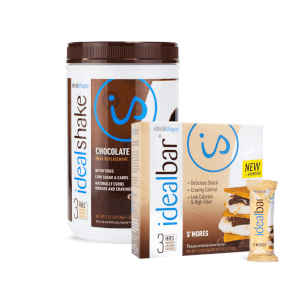 I absolutely love Idealshake! I think this is the first protein shake I have bought that doesn’t taste like chalk! The best part is it really does work. I just received my second order. I have been using it as directed for just over a month now and have lost 14 pounds! It really does curb your appetite! Highly recommend!! I absolutely love this chocolate shake, when whipping it up with a couple of ice cubes and water it taste like a Wendy’s Frosty. I also purchased chocolate mint and did not like that one as well. My only suggestion to this company is that they use Stevia with all of the flavors. 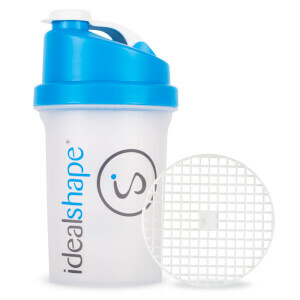 I've tried about six different protein drinks and for me, Idealshape is the best. Chocolate tastes like a chocolate milkshake - delicious. It's so low in calories - only 120 per drink. It is also a lower price than most with 30 drinks per can. It shakes up pretty smooth as well. Best of all, it keeps me full for 3-4 hours! My only hope is that they will make it in pre-filled individual containers! Now that would be the ultimate convenience.